The write-up pn the reverse of the card will be 'It was a bitterly cold day even though the sun was shining. A thin layer of ice was still covering the lake when I arrived early one February morning. 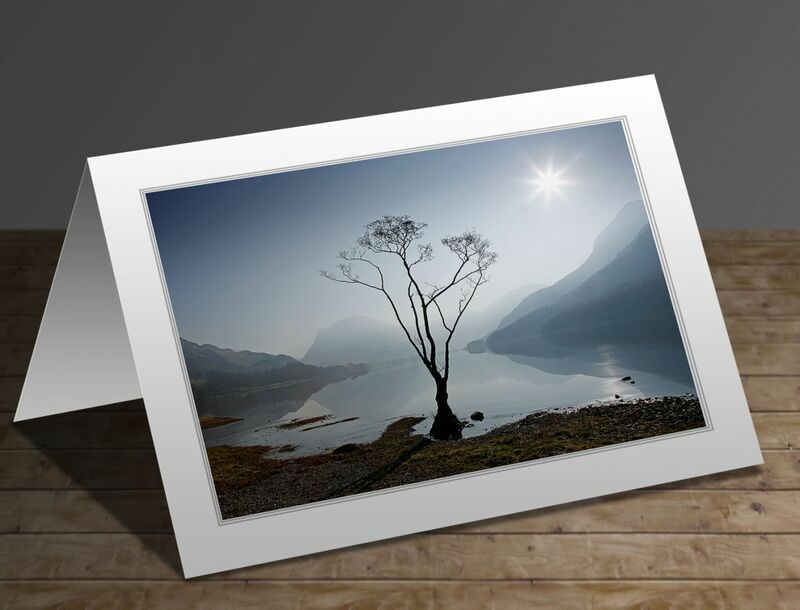 The famous lone tree at the northern end of Buttermere was silhouetted perfectly against the clear blue sky. I like the composition of this photograph even though it breaks all the rules'.